Previously, we discussed the ways in which a compressed air system should be designed in order to meet the demands of your equipment. We’ve also covered the various compressed air equipment that makes up the typical compressed air system, as well as ways to determine your demand. So all that remains is to get the relevant equipment shipped to your factory and installed according to your designs, right? Not exactly. 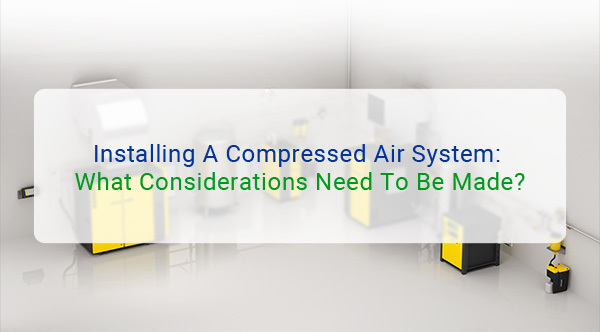 There are actually a number of other considerations to make before installing a compressed air system, considerations that can directly affect the performance of your compressed air system as well as averting potential safety hazards. 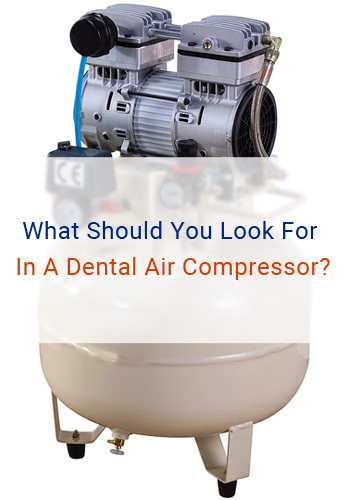 Some of the main considerations when installing compressed air systems are ventilation – both natural and artificial – for the air compressors, any foundations that need to be made in order to install the compressors and where the compressors will be fitted. All of these factors will affect the design of your compressed air system. Below is an outline of the key considerations behind each of these areas, and how they affect the design of your compressed air system. In some larger compressed air systems, the industrial air compressors that drive the system will be housed in their own room. This ensures that the immediate environment around the compressors can be kept clean, dust-free and dry while also maintaining an optimum temperature for the performance of the compressors. Compressor rooms should be well-lit and easily accessible for operation and air compressor servicing purposes. They should also have adequate ventilation, as outlined in the following section. Connecting lines from the dedicated compressor room to other components of the system can present some problems. Lines can either be installed overhead, underground or through dedicated channels. Of these three options, overhead line installation is usually the most cost-effective but might require navigation around certain obstructions. Underground lines provide a direct route to various components but make repair and maintenance of lines extremely difficult. Dedicated channels, much like overhead lines, will require navigation around obstacles, with the added cost of building the channels. 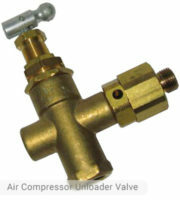 Proper ventilation for the air compressors and compressed air dryers in your system is essential to the ongoing operation of a compressed air system; without it, your compressors and / or compressed air dryers, could overheat and cease functioning altogether, requiring maintenance to repair and thus leading to costly downtime. The most basic form of ventilation is natural ventilation, which basically means locating your air compressor away from any potential blockades to the flow of air. This could be something as simple as placing a compressor away from any walls. Ventilation can also be provided through air ducts, either with or without a damper in order to control the flow of warm and cold air or via an exhaust fan or air duct, which draws warm air out of a room. How much ventilation a compressor room will require will come down to how many compressors are in the room and should be calculated based on the output and work rate of each compressor. For more than one compressor, adding together the total horsepower of the compressors and designing ventilation according to that figure is not enough. The advice above was certainly very much the case in the recent past. 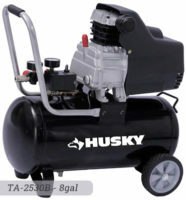 However, most modern rotary screw air compressors come with anti vibration mounts as standard. Quite often, the only requirement for the foundation is a secure, level surface constructed from materials suitable for the purpose. It is important that you check any requirements with your supplier before commencing any installation work. If, for instance, you were carrying out the re-installation of a heavy duty reciprocating compressor in a new factory location, you would almost certainly have to install specialist foundations in accordance with the compressor manufacturer’s specific instruction. Foundations are usually not required for smaller compressors, although the effects of vibration should still be considered. The installation considerations outlined above will usually be dealt with by the engineer designing and installing your compressor, although having an awareness of such considerations can allow you to assign certain areas of your premises to your compressed air system, saving the engineer time and speeding up the design and installation process.